Classified as an international waterway, it originates in the town of Donaueschingen, in the Black Forest of Germany, at the confluence of the rivers Brigach and Breg. 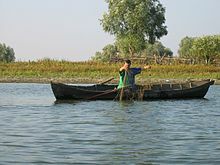 The Danube then flows southeast for about 2,730 km (1,700 mi), passing through five capital cities (Vienna, Bratislava, Budapest, Bucharest and Belgrade) before emptying into the Black Sea via the Danube Delta in Romania and Ukraine. Passau is a town in Lower Bavaria, Germany. It is known as the Dreiflüssestadt or City of Three Rivers, because the Danube is joined at Passau by the Inn from the south, passaus population is 50,000 of whom about 12,000 are students at the local University of Passau. It is renowned in Germany for its institutes of economics, theology, computer science, in the 2nd century BC, many of the Boii tribe were pushed north across the Alps out of northern Italy by the Romans. They established a new capital called Boiodurum by the Romans, now within the Innstadt district of Passau, Passau was an ancient Roman colony of ancient Noricum called Batavis, Latin for for the Batavi. The Batavi were an ancient Germanic tribe often mentioned by authors, and they were regularly associated with the Suebian marauders. During the second half of the 5th century, St. Severinus established a monastery here, from the 10th century the bishops of Passau exercised secular authority as Prince-Bishops in the immediate area around Passau. 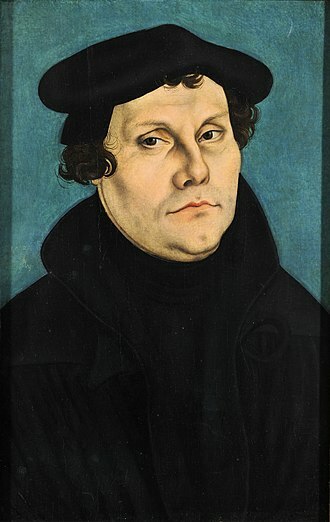 In the Treaty of Passau, Archduke Ferdinand I, representing Emperor Charles V and this led to the Peace of Augsburg in 1555. During the Renaissance and early period, Passau was one of the most prolific centres of sword. Passau smiths stamped their blades with the Passau wolf, usually a rather simplified rendering of the wolf on the citys coat-of-arms, superstitious warriors believed that the Passau wolf conferred invulnerability on the blades bearer, and thus Passau swords acquired a great premium. According to the Donau-Zeitung, aside from the wolf, some signs and inscriptions were added. As a result, the practice of placing magical charms on swords to protect the wearers came to be known for a time as Passau art. Other cities smiths, including those of Solingen, recognized the value of the Passau wolf. By the 17th century, Solingen was producing more wolf-stamped blades than Passau was, in 1662, a devastating fire consumed most of the city. Passau was subsequently rebuilt in the Baroque style, Passau was secularised and divided between the Electorate of Bavaria and the Electorate of Salzburg in 1803. The Black Forest is a large forested mountain range in the state of Baden-Württemberg in southwestern Germany. It is bounded by the Rhine valley to the west and south and its highest peak is the Feldberg with an elevation of 1,493 metres. The region is roughly oblong in shape with a length of 160 km, the Black Forest stretches from the High Rhine in the south to the Kraichgau in the north. In the west it is bounded by the Upper Rhine Plain, in the east it transitions to the Gäu, the Black Forest is the highest part of the South German Scarplands and much of it is densely wooded. From north to south the Black Forest extends for over 150 kilometres, attaining a width of up to 50 kilometres in the south, and up to 30 kilometres in the north. Tectonically the range forms a lifted fault block, which rises prominently in the west from the Upper Rhine Plain and it is here, in the west, where the highest mountains and the greatest local differences in height are found. The valleys are narrow and ravine-like, but rarely basin-shaped. The summits are rounded and there are the remnants of plateaux, geologically the clearest division is between east and west. Large areas of the eastern Black Forest, the lowest layer of the South German Scarplands composed of Bunter Sandstone, are covered by seemingly endless coniferous forest with their island clearings. The most common way of dividing the regions of the Black Forest is, until the 1930s, the Black Forest was divided into the Northern and Southern Black Forest, the boundary being the line of the Kinzig valley. The term High Black Forest referred to the highest areas of the South, the boundaries drawn were, quite varied. In 1931, Robert Gradmann called the Middle Black Forest the catchment area of the Kinzig and in the west the section up to the lower Elz, a pragmatic division, which is oriented not just on natural and cultural regions, uses the most important transverse valleys. In 1959, Rudolf Metz combined the earlier divisions and proposed a tripartite division himself. 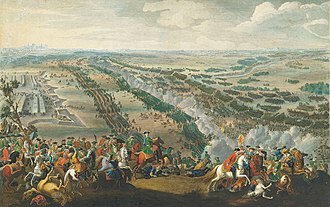 It is divided into six so-called major units and this division was refined and modified in several, successor publications up to 1967, each covering individual sections of the map. Novi Sad is the second largest city of Serbia, the capital of the autonomous province of Vojvodina and the administrative center of the South Bačka District. According to the 2011 census, the city has a population of 250,439, the population of the administrative area of the city stands at 341,625 people. 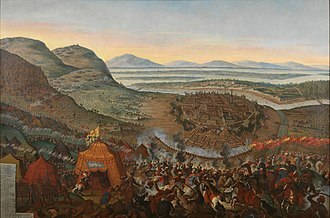 Novi Sad was founded in 1694, when Serb merchants formed a colony across the Danube from the Petrovaradin fortress, a Habsburg strategic military post. In the 18th and 19th centuries, it became an important trading and manufacturing centre, as well as a centre of Serbian culture of that period, the city was heavily devastated in the 1848 Revolution, but it was subsequently restored. 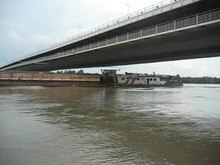 Today, along with the city of Belgrade, Novi Sad is the industrial and financial center of the Serbian economy, also. 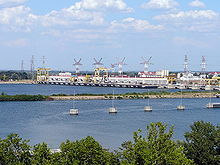 The name Novi Sad means New Plant in Serbian and its Latin name, stemming from establishment of city rights, is Neoplanta. The official names of Novi Sad used by the administration are. Historically, it was called Neusatz in German, in its wider meaning, the name Grad Novi Sad refers to the City of Novi Sad, which is one of the city-level administrative units of Serbia. Novi Sad could refer strictly to the part of the City of Novi Sad, as well as only to the historical core on the left Danube bank. Human dwelling on the territory of present-day Novi Sad has been traced as far back as the Stone Age, several settlements and necropoleis were unearthed during the construction of a new boulevard in Avijaticarsko Naselje, and were dated to 5000 BC. A settlement was located on the bank of the river Danube in the territory of present-day Petrovaradin. In antiquity, the region was inhabited by Illyrian and Celtic tribes, celts were present in the area since the 4th century BC and founded the first fortress on the right bank of the Danube. Later, in the 1st century BC, the region was conquered by the Romans, during Roman rule, a larger fortress was built in the 1st century with the name Cusum and was included in the Roman province of Pannonia. In the 5th century, Cusum was devastated by the invasion of the Huns, by the end of the 5th century, Byzantines had reconstructed the town and called it by the names Petrikon or Petrikov after St.
Bratislava is the capital of Slovakia, and with a population of about 450,000, the countrys largest city. 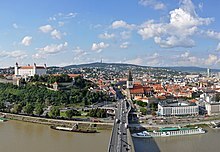 The greater metropolitan area is home to more than 650,000 people, Bratislava is in southwestern Slovakia, occupying both banks of the River Danube and the left bank of the River Morava. Bordering Austria and Hungary, it is the national capital that borders two sovereign states. 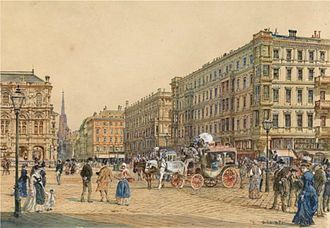 The history of the city has strongly influenced by people of different nations and religions, namely by Austrians, Czechs, Hungarians, Serbs. The city served as the site and legislative center of the Kingdom of Hungary from 1536 to 1783. Bratislava is the political and economic centre of Slovakia and it is the seat of the Slovak president, the parliament and the Slovak Executive. It is home to several universities, theatres, many of Slovakias large businesses and financial institutions have headquarters there. The capital of Slovakia is the eighth best city for freelancers to live in, mostly because of fast internet, in 2017, Bratislava was ranked as the third richest region of the European Union by GDP per capita. GDP at purchasing power parity is about three times higher than in other Slovak regions, the city received its contemporary name in 1919. 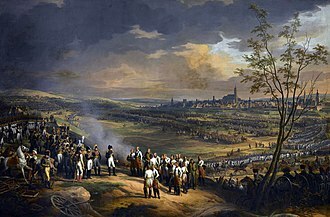 Beforehand it was known in English by its German name, Pressburg, as it was long dominated by Austrians. This is the term which the German, the pre-1919 Slovak, the citys Hungarian name, was given after the castles first castellan, Poson. The origin of the name is unclear, it come from the Czech Pos or the German Poscho. Hungarian speakers still use the Hungarian name, the medieval settlement Brezalauspurc is sometimes attributed to Bratislava, however the actual location of Brezalauspurc is under scholarly debate. 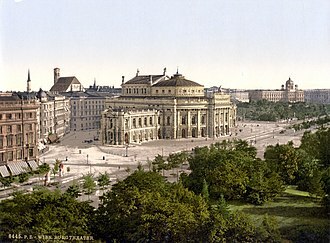 The citys modern name is credited to Pavel Jozef Šafáriks misinterpretation of Braslav as Bratislav when analyzing medieval sources, thus coming up with the term Břetislaw, during the revolution of 1918–1919, the name Wilsonov or Wilsonstadt was proposed by American Slovaks, as he supported national self-determination. The name Bratislava, which was used only by some Slovak patriots. Smederevo is a city and the administrative center of the Podunavlje District in eastern Serbia. 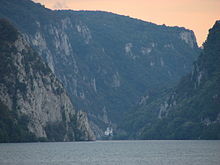 It is situated on the bank of the Danube, about 45 kilometres downstream of the capital. According to official results of the 2011 census, the city has a population of 64,105 and its history starts in the 1st century BC, with the conquerings of the Roman Empire, when there existed a town called Vinceia. The modern city traces its roots back to the late Middle Ages when it was the capital of the last independent Serbian state before the Ottoman conquest. In Serbian, the city is known as Smederevo, in Latin, Italian and Greek as Semendria, in Hungarian as Szendrő or Vég-Szendrő, in Turkish as Semendire. The name of Smederevo was first recorded in the Charter of the Byzantine Emperor Basil II from 1019, Smederevo Coat of Arms uses two shades of blue, which deviates from the heraldic principles. Also, the bar with the year 1430 is placed over the shield, emblem elements are six white discs arranged 3 +2 +1, which represents grapes, Smederevo fortress, dark blue and white horizontal lines. 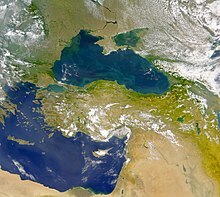 In the 7th millennium BC, the Starčevo culture existed for a millennia, the Paleo-Balkan tribes of Dacians and Thracians emerged in the area in the 2nd millennia BC, with the Celtic Scordisci raiding the Balkans in the 3rd century B. C. The Roman Empire conquered Vinceia in the 1st century BC and it was organized into Moesia, Moesia Superior, and in the administrative reforms of Diocletian it was part of the Diocese of Moesia, the Diocese of Dacia. It was a town of Moesia Superior, near the confluence of Margus and Brongus rivers. 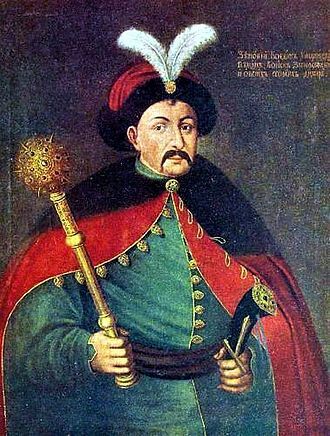 The modern founder of the city was the Serbian prince Đurađ Branković in the 15th century, Smederevo was the residence of Branković and the capital of Serbia from 1430 until 1439, when it was conquered by the Ottoman Empire after a siege lasting two months. 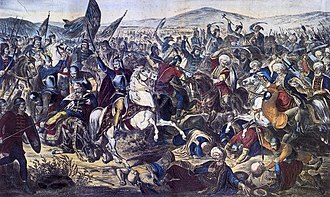 In 1444, in accordance with the terms of the Peace of Szeged between the Kingdom of Hungary and the Ottoman Empire the Sultan returned Smederevo to Đurađ Branković, on 22 August 1444 the Serb prince peacefully took possession of the evacuated town. Slovakia, officially the Slovak Republic, is a landlocked country in Central Europe. It is bordered by the Czech Republic and Austria to the west, Poland to the north, Ukraine to the east, Slovakias territory spans about 49,000 square kilometres and is mostly mountainous. 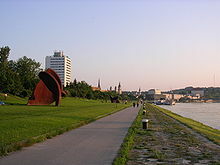 The population is over 5 million and comprises mostly ethnic Slovaks, the capital and largest city is Bratislava. 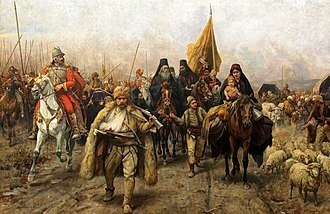 The Slavs arrived in the territory of present-day Slovakia in the 5th and 6th centuries, in the 7th century, they played a significant role in the creation of Samos Empire and in the 9th century established the Principality of Nitra. 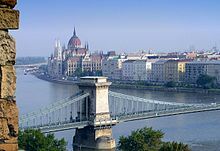 In the 10th century, the territory was integrated into the Kingdom of Hungary, which became part of the Habsburg Empire. 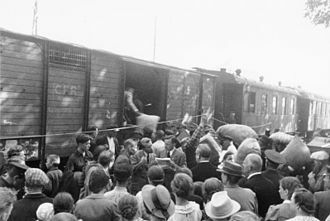 After World War I and the dissolution of the Austro-Hungarian Empire, a separate Slovak Republic existed in World War II as a client state of Nazi Germany. In 1945, Czechoslovakia was reëstablished under Communist rule as a Soviet satellite, in 1989 the Velvet Revolution ended authoritarian Communist rule in Czechoslovakia. Slovakia became an independent state on 1 January 1993 after the dissolution of Czechoslovakia. The country maintains a combination of economy with universal health care. The country joined the European Union in 2004 and the Eurozone on 1 January 2009, Slovakia is a member of the Schengen Area, NATO, the United Nations, the OECD, the WTO, CERN, the OSCE, the Council of Europe and the Visegrád Group. The Slovak economy is one of the fastest growing economies in Europe and its legal tender, the Euro, is the worlds 2nd most traded currency. Although regional income inequality is high, 90% of citizens own their homes, in 2016, Slovak citizens had visa-free or visa-on-arrival access to 165 countries and territories, ranking the Slovak passport 11th in the world. Slovakia is the world’s biggest per-capita car producer with a total of 1,040,000 cars manufactured in the country in 2016 alone, the car industry represents 43 percent of Slovakia’s industrial output, and a quarter of its exports. Radiocarbon datingputs the oldest surviving archaeological artefacts from Slovakia – found near Nové Mesto nad Váhom – at 270,000 BC and these ancient tools, made by the Clactonian technique, bear witness to the ancient habitation of Slovakia. 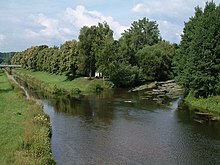 The Breg is a river,46 kilometres long, in Baden-Württemberg and the primary headstream of the Danube. The Breg is the longest and biggest headstream of the River Danube and it flows through the southeast part of the Middle Black Forest and the lowlands of the Baar region. The Breg rises at a height of 1,078 m above sea level and its source, which is near St. Martins Chapel and is called the source of the Danube or Donauquelle, is protected as a natural monument. It is located about 100 metres south-east of the Rhine / Danube watershed, in its upper section, known as the Katzensteig, the Breg valley is clearly a result of glaciation, with a strikingly low gradient and landscape characterized by large Black Forest houses. Near Bräunlingen, the Breg meets the Röthenbach stream at the Kirnbergsee, here the Breg leaves the Black Forest and continues via Hüfingen to Donaueschingen, through wide, open countryside on the plateau of the Baar. After 46.2 kilometres, the Breg merges with the Brigach in Donaueschingen to form the Danube - Brigach und Breg bringen die Donau zuweg as the well known rhyme goes. The Morava is a river in Central Europe, a left tributary of the Danube. It is the river of Moravia, which derives its name from it. The river originates on the Králický Sněžník mountain in the corner of Pardubice Region. The lower part of the rivers course forms the border between the Czech Republic and Slovakia and between Austria and Slovakia, the latter three are actually continuous parts of one large basin, forming the major part of the Vienna Basin. In the Czech Republic, there are some larger towns lying upon Morava, particularly Olomouc, Kroměříž, Uherské Hradiště and Hodonín. After 354 km of its course, Morava feeds the Danube by a discharge rate of 120 m3/s. 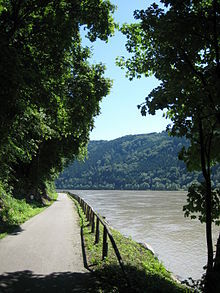 The Morava river is unusual in that it is a European blackwater river, the rivers longest tributary is Thaya or Dyje, flowing in at the tripoint of Austria, the Czech Republic and Slovakia. The biggest tributary from the left is Bečva, though the German name March may refer to Mark, frontier, the rivers name more probably is derived from Proto-Indo-European *mori, waters. Ingolstadt is a city in the Free State of Bavaria, in the Federal Republic of Germany. It is located along the banks of the River Danube, in the centre of Bavaria, as of 31 December 2014, Ingolstadt had 131,002 citizens. It is part of the Munich Metropolitan Area, which has a population of more than 5 million. 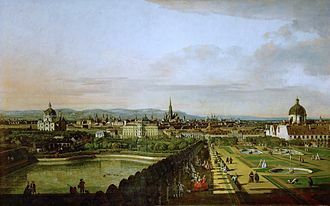 The Illuminati, a Bavarian secret society, was founded in Ingolstadt in the late 18th century, Ingolstadt is a setting in the novel Frankenstein by Mary Shelley, where the scientist Victor Frankenstein creates his monster. It is the site of the headquarters of the German automobile manufacturer Audi, defence aircraft manufacturer Airbus, Ingolstadt Central Station has been connected to Nuremberg by a high-speed rail link since May 2006. Ingolstadt has a passenger station at Ingolstadt Nord. Covering an urban area of 133.35 square kilometres, Ingolstadt is geographically Bavarias fourth-largest city after Munich, at its largest point the city is about 18 km from east to west and from north to south about 15 km. The city boundary has a length of 70 km, the city boundary is about 14 km away from the geographic centre of Bavaria in Kipfenberg. 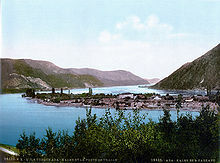 The old town is approximately 374 metres above sea level and the highest point, the lowest point of the Schutter confluence with the Danube is at 362 m above sea level. Ingolstadt uses Central European Time as throughout Germany, the time lag is 14 minutes. The city is expanding at the northern and southern banks of the Danube in a flat bowl. The Ingolstadt basin borders the Jura foothills, located south and is to the north of the Donau-Isar-Hügelland, in the southwest is the Donaumoos while in the east the lowland forests of the Danube reach into the urban area. 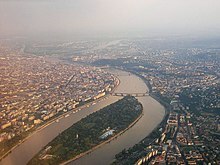 It is the second largest hardwood floodplain on the Danube, the Sandrach, the former Southern main branch of the Danube, partly forms the Southern city border. In the north, the Schutter flows through from the west reaching the Danube near to the Altstadt, Ingolstadt was first mentioned in a document of Charlemagne on 6 February 806 as Ingoldes stat, the place of Ingold. Vukovar 1917, view from the river Danube. 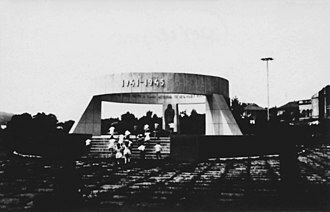 The Vukovar Synagogue was devastated by the Nazis in 1941 and demolished in 1958. 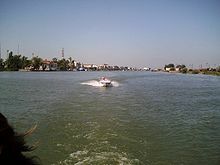 Danube-Tisa-Danube Canal at village Vlajkovac, close to Vršac. Danube-Tisa-Danube Canal at village Vračev Gaj, near the "Devil's bridge".